Arthritis is an inflammation of the joints. Arthritis symptoms include joint pain, swelling and stiffness, and the inflammation can worsen with age, ultimately reducing range of motion. Sufferers can experience both intermittent and sharp pain causing the body to become fatigued. Arthritis symptoms can also cause redness to the skin, a stiff neck, bumps on fingers or bony outgrowth in fingers and toes. Arthritis related to wear and tear of cartilage is known as osteoarthritis. Arthritis that causes inflammation as a result of an overactive immune system is known as rheumatoid arthritis. There are many different types of treatments available to help manage symptoms and these will depend on the type you suffer from and the severity of your arthritis. While medications, and potentially surgery can help alleviate the condition, there are self-care measures and alternative therapies that you can seek out to help treat and manage symptoms. There could be anything from using a heat pad or ice pack and taking a Tai Chi class to making simple changes to your diet. Preventative care and lifestyle changes can have a dramatic impact on many health issues and oftentimes people overlook the importance of diet and healing with superfoods. 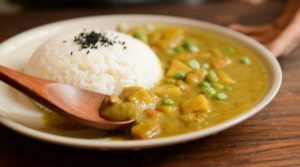 These five superfoods: turmeric, sweet potato, cherries, beans and papaya are known for their anti-inflammatory properties and we’ve put together a list of five great recipes to try in an attempt to relieve your symptoms and hopefully put your arthritis to bed! Turmeric Rice Bowl with root veggies and chickpeas – let the flavors of India tickle your taste buds with this fragrant, turmeric inspired dish. A healthy meal rich in vitamin A and C packed with iron too. Get the list of ingredients and directions here. Research suggests that 500 mg of turmeric per day can be effective in the fight against osteoarthritis. Coconut and Sweet Potato Muffins – the carotene found in sweet potato is an anti-inflammatory agent. The recipe calls for a dash of cinnamon too, giving it an added anti-inflammatory kick! Cherry Chia Smoothie – An anti-inflammatory cocktail of cherries, pineapple, coconut oil, kombucha and coconut water. Anthocyanins are the compounds found in cherries known for reducing inflammation and blocking pain signals. A great breakfast drink to put a pep in your step. Learn how to make it here. Crock-Pot Turkey Chili – this recipe calls for a can of kidney beans, black beans and garbanzo beans. The National Arthritis Foundation includes beans as one of its top foods. Beans are filled with fiber, are high in protein and low in fat, all helpful in warding off painful flare ups. Green Papaya Salad – this thai-inspired salad includes many anti-inflammatory It’s flavorful and the papaya not only helps with inflammation but this superfruit helps lower cholesterol, boosts your immune system and is rich in antioxidants. At Paradise Living Centers, we believe in the importance of healthy eating and we have an on-staff cook that prepares fresh and delicious meals daily packed with many of the nutrients one would need when living with arthritis. Our low staff to resident ratio (1:5), and with just 10 residents in each of our care homes, we quickly learn the nutritional and dietary needs of our residents. If a healthy diet and lifestyle is something that you seek in an assisted living facility, Paradise Living Centers can deliver and meet the needs of your loved one.